We’ve come to our final direct marketing case study of the week. This example looks at the property and casualty insurance market and one client’s efforts to increase the success of direct mail campaigns through unique package sizes and highly focused testing. Property and casualty insurance is all about protecting people and their assets. But sometimes the insurer needs someone to help look out for their best interests, too. And in our case, that means protecting the response rates of direct marketing efforts. A leading property and casualty insurance firm brought us in to turnaround stagnating response rates. Our new client had experienced a prolonged plateau and subsequent decline in responses rates to their ongoing direct mail program. Upon review, we identified the following issues: little variation to the package was occurring from campaign to campaign, messaging was not targeted to specific audience segments and no testing strategy was in place. Leveraging our Proprietary Intelligence model, we implemented a messaging overhaul along with a test-and-learn strategy that included periodic A/B testing, aligned with a pre-mail email campaign. We introduced high-performing formats including unique-sized packages with plastic card inserts that used variable drop-on-demand messaging and a “free quote” offer to increase interaction and extend the life of the message. Our focus was on finding unique package sizes that were very strong performers, with innovative formats such as double decker display windows and pull strings. To stay true to the brand, we used their primary color, but also incorporated bright yellow color fields to highlight important benefits. To increase relevancy, we acknowledged regional nuances in language and offers by refining messaging and layering in personalization throughout. We tested both single and multiple variables within packages and emails to improve response. This included varying letter lengths, testing benefits and personalization. We also tested fully innovative packages, designed by our in-house creative team and copywriters to drive large-scale improvements in results, leading to new, higher-performing controls. During the analysis stage, initial A/B testing improved Gross Response Rate (GRR) by 30% over control. We were able to use these results to further refine packages and recommend additional testing. This holistic approach has resulted in increased response rates that have been sustained for more than 12 months. 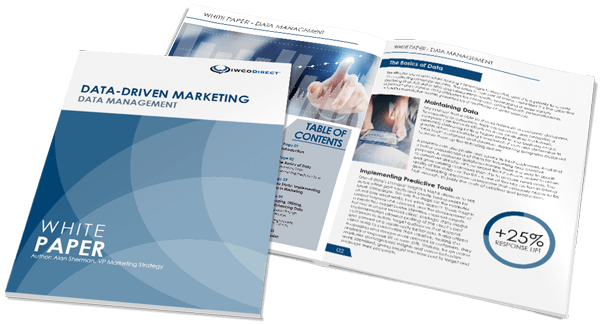 The new controls generated through testing not only improved GRR, but also provided significant reduction in cost per acquisition, creating savings that allowed the client to maintain their direct mail volume while layering on an email campaign to a portion of their audience.